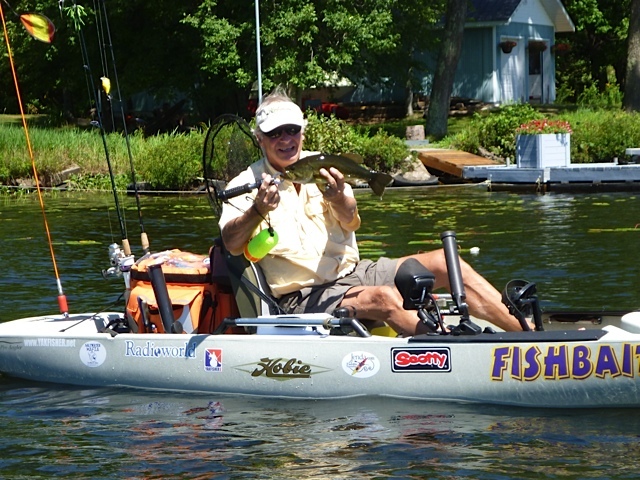 Fogh Marine offers free demos of most Mirage® Series Kayaks. Demonstration kayaks available include but are not limited to: Mirage Sport, Mirage Revolution® 11, Mirage Revolution 13, Mirage Outback, Mirage Pro Angler 12, Mirage Pro Angler 14, Mirage Oasis®, Mirage Adventure Island, and Mirage Tandem Island. Appointments are required. Closest comparable boat is selected from demonstration boat inventory. Each customer test is limited to no longer than 20 minutes on the water. Boat selection for each evening is based on reservations placed by customers. If Fogh Marine does not receive any requests for a specific evening the staff will not travel to the test location. Please call 1-800-342-FOGH(3644) for current scheduling information.